Among the perks that startup employees enjoy daily, a cool office is probably the fundamental one. Photos of expertly designed workplaces appear in our Twitter feeds and in media quite often, so it doesn’t come as a surprise that now there’s a website focused exclusively on how tech startups design their offices around the globe. Founded by Michael Ptacek in 2014, Prague-based Officelovin’ is a good example of how startups are eager to demonstrate their new premises, while their potential employees are no less interested in taking a look around. Three quarters off all website traffic originates in the US, followed by Canada, UK, Germany and France. The number of people who want a sneak peek at the most hip working space in tech increases by about 20 percent, Ptacek said. Looking back at over a year of Officelovin’s existence, Ptacek says there are a few companies whose offices are the most popular with the website’s audience. Ironically, the company with the most viewed offices is not exactly a startup: it’s WeWork, a large network of coworking spaces in the US and Europe. Counted by the number of views of a particular office and not a company, the most popular one is Uber’s HQ in San Francisco with over 12,000 hits, followed by the LA headquarters of Beats by Dr. Dre, with almost 8,000 views. 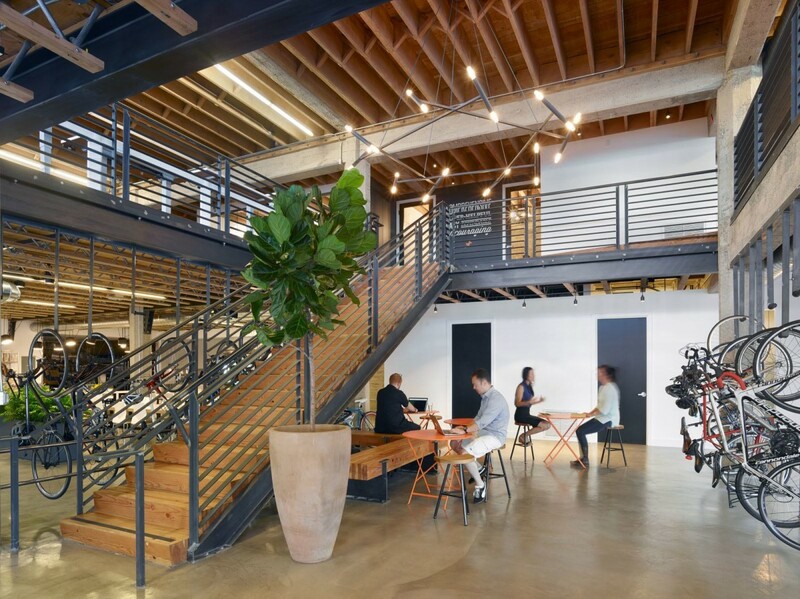 Officelovin’ is not the first website displaying office spaces — there’s, for example, OfficeSnapshots that’s been on the market for some eight years, — but this is the first one focused exclusively on tech startups. In Ptacek’s opinion, the main target audience that startups want to attract is, unsurprisingly, programmers. Startup jobboard Tyba, which also gives office photos of the companies hiring a lot of space, agrees with the importance of the workplace coolness. With that in mind, Ptacek plans to monetize his project in the future by transforming it into “Houzz.com for startup offices,” where the employers will be able to get recommendations on the right style and furniture for their working places. As the fight for talent in the tech world shows no sign of calming down, it seems like the market for architectural and interior design advice will be a healthy one for quite some time to come.